How Often Should We Juice to Make A Difference? This show will guide you towards a lifestyle that promotes alkaline balance by juicing, eating well, and cleansing the body and soul. Beyond the body, Cherie Calbom explain the heavy toll emotional, mental, and spiritual unrest can take on the body (and sometimes even encourage disease) and share unique, effective methods for cleansing the body of such toxicity. Cherie Calbom, M.S., C.N. 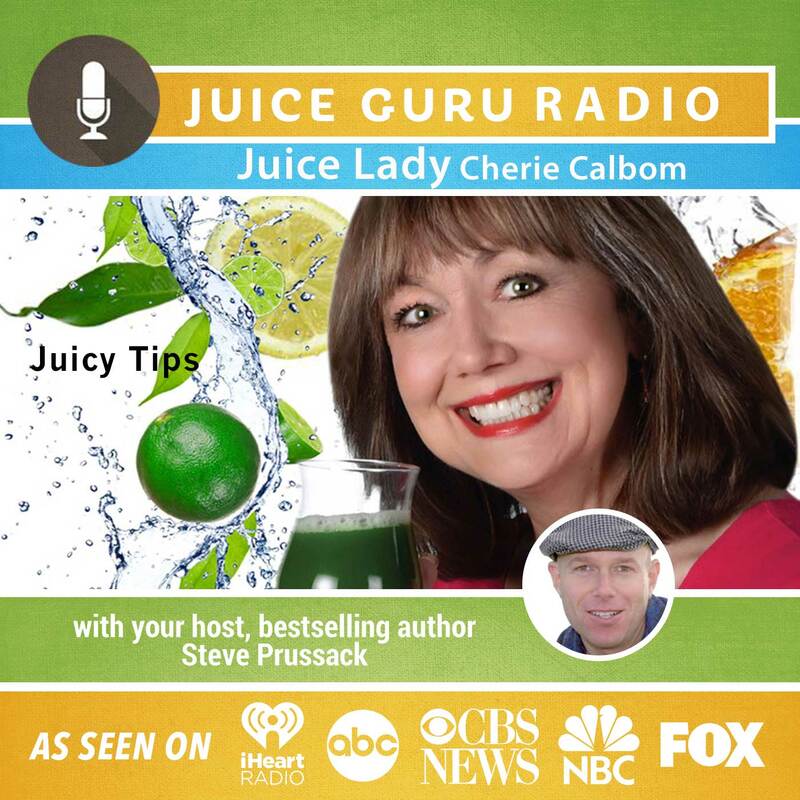 is the author of 25 books including the bestsellers The Juice Lady’s Big Book of Juices and Green Smoothies, The Juice Lady’s Turbo Diet, Juicing, Fasting, and Detoxing for Life, and Juicing for Life. She earned her master of Science degree in whole foods nutrition from Bastyr University and has been a nutritionist for George Foreman and Richard Simmons.